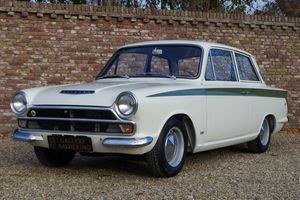 This 1966 MK1 Lotus Cortina was produced in March of 1966. It has been the recipient of a full nut and bolt restoration. 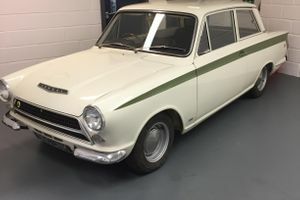 Finished in the original Lotus Cortina colors, white with a green accent down the side. 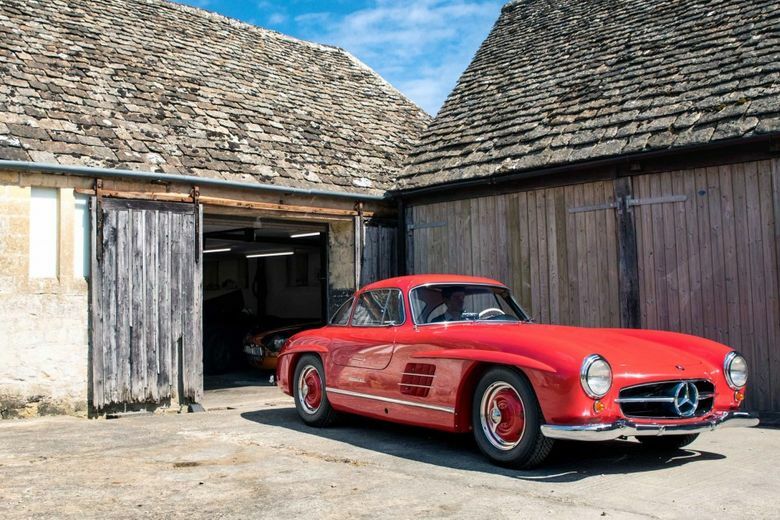 The restoration was finished in 2016 and the restorer has put approx. 5,500 miles on the car since, fully sorting it in the process. 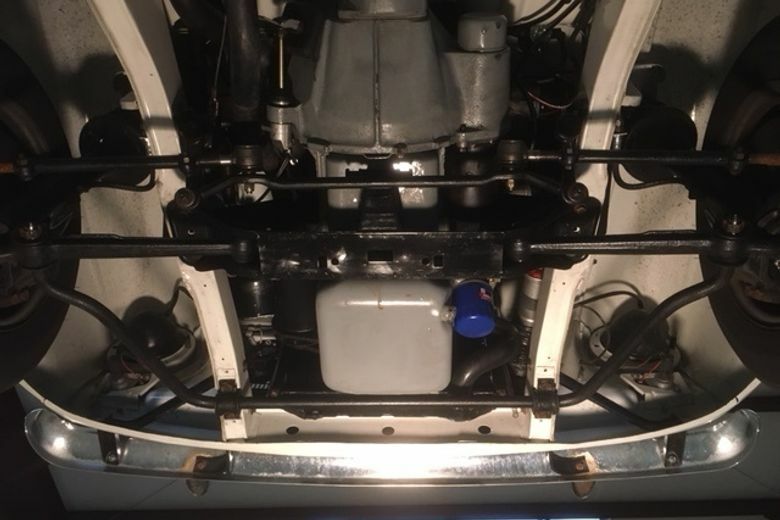 The car has had its Lotus twin cam 1,577cc engine fully rebuilt. The engine retains its twin DCOE 18 weber carburetors. The package produces 115hp. 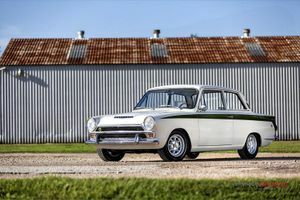 The standard Lotus Cortina produced 105hp, in America they came with 115hp! It has its 4-speed gearbox with close ratio between 2ndand 3rdgears. She sits on standard 13 inch wheels and has 70,672 miles on the odometer. 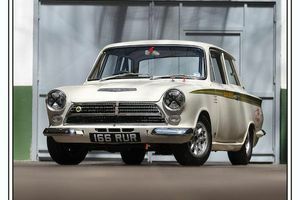 History of the Lotus Cortina and how it came to be. Ford Motor Company decided in the early 1960’s that its image needed burnishing and approached Colin Chapman of Lotus Cars to assist. 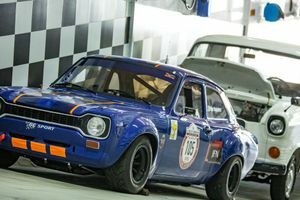 Ford wanted publicity and for Chapman it was an opportunity to create something new using Fords checkbook.A year or two earlier Fords English competitor, BMC, had taken the rally world by storm with the Mini Cooper. A collaborated between BMC (British Motor Corporation) and Cooper Cars. Released in Sept 1961 the Mini Cooper took 18 major rally awards in 1962 alone!By collaborating with Lotus, Ford utilized the same formula. Use a well-known racing team to create something exciting out of the standard production line. Colin Chapman was given free run to pick anything in the English Ford line up and settled on the Cortina. 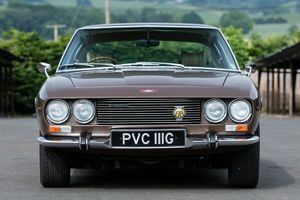 It had a well-designed monocoque body shell, light and strong.He fitted the Lotus Elan engine, a Ford block with Lotus twin cam head and twin side draft webers, close ratio gearbox, McPherson strut front suspension and modified the rear suspension. 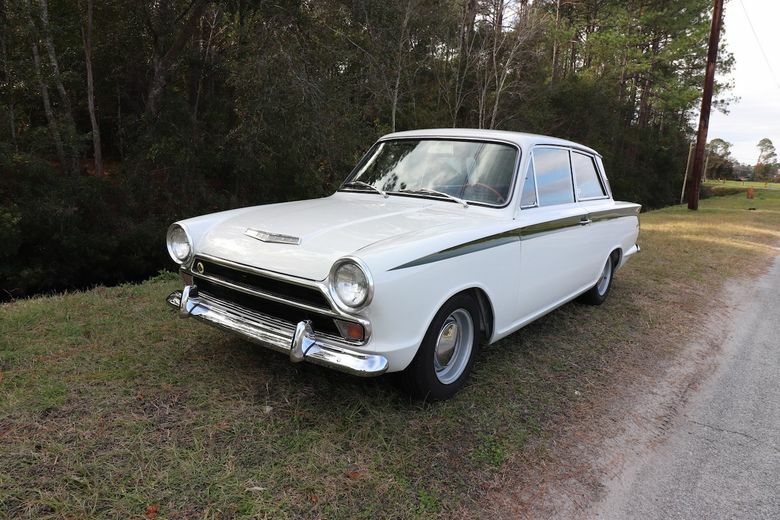 Lotus Cortina’s came in one color scheme, white with a green stripe down the side. Ford was rewarded with the fastest car in the English Ford line up with a top speed of 108 mph and 0-60mph in 9.7 seconds. 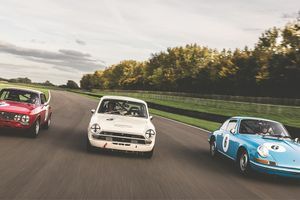 Pretty darned good for an English sedan!The Lotus Cortina was spectacular on the track, it was nimble and had enough power to beat far more powerful sedans. Initially not well suited to rallying but by 1964 the Lotus Cortina had scored wins in the very prestigious Alpine Rally and East African Safari Rally.In the USA the Lotus Cortina came third in the GT Championship beaten only by an AC Cobra and Porsche 904. 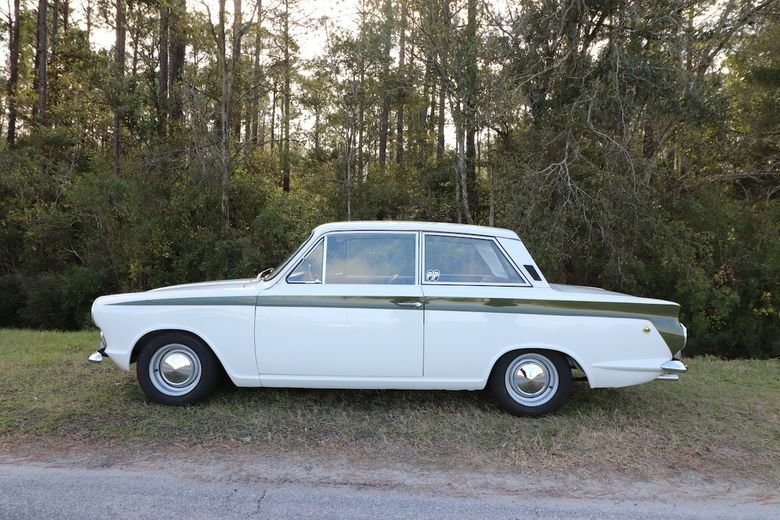 At Sebring the Cortina won its class in the 4hr race and the next day came in 2ndin class in the 12hr race.